Sedona’s world-wide reputation as a spiritual mecca and global power spot has drawn some of our planet’s most amazing healers, intuitives, artists and spiritual guides. 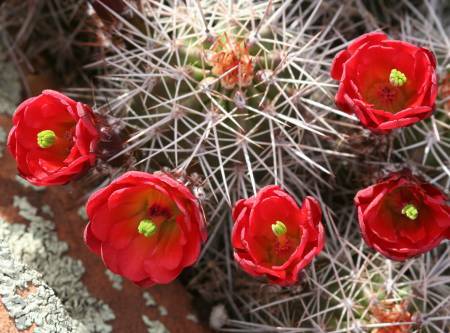 Come to Mother Nature’s red-rock temples to experience their life-transforming, soul-nourishing work in person. 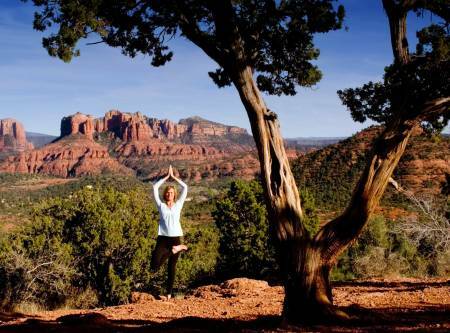 Sedona is a perfect place for spiritual and personal enrichment of the body and the soul. 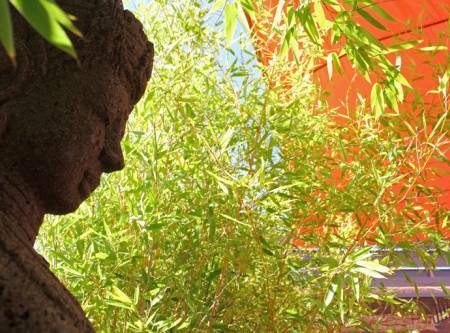 From healing massage treatments, yoga, spas and salons to hypnotherapy and retreats, surely Sedona has something to offer. 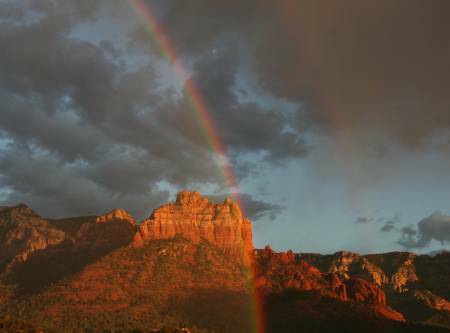 Our Sedona Chamber of Commerce Affinity Group, the Sedona Metaphysical Spiritual Association, is a great resource for learning about the spiritual and metaphysical side of Sedona. The majestic red rock scenery and evergreen vegetation are two reasons for the unique energy of Sedona and its tangible regenerative and inspirational effects. The red-orange color of the rock is one of the most neuro stimulating of colors. It enhances creative thinking and problem solving. 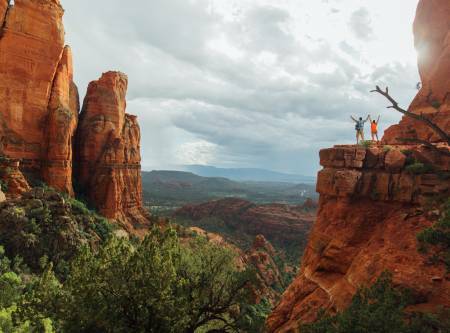 Because Sedona is framed year round by green, visitors are also bathed in sense of hope and renewal, regardless of the season. The spectacular trails and overlooks provide numerous opportunities for prayer, and contemplation. 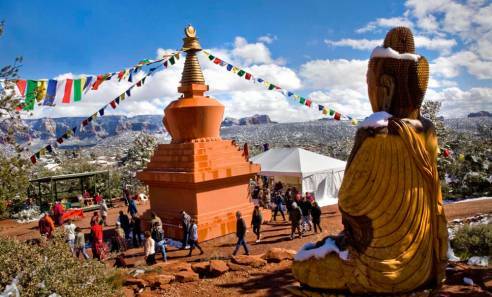 Sedona is also internationally known for the uplifting power of its Vortex meditation sites. 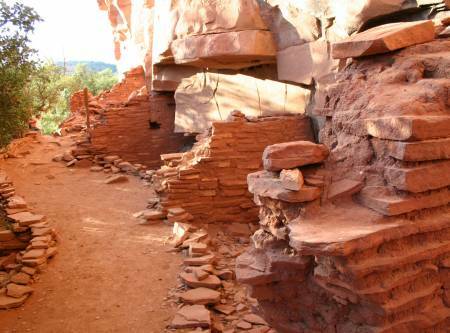 Two aspects of those sites make Sedona truly special. First, within a very small geographical radius, you can easily access all the different types of vortexes (upflow/masculine/electric, inflow/feminine/magnetic, or combination /electromagnetic, etc.) Second, the Vortex sites are interwoven with the real world of a growing city. As a result, seekers have experiences in how to live their spirituality as they go through their daily lives. 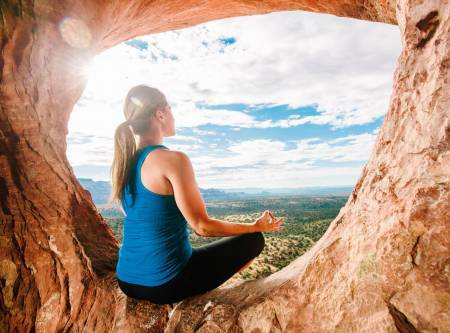 Rather than having to escape from civilization to find peace, visitors discover that Sedona’s splendor gives them insights for how to create an inner harmony they can maintain once at home. 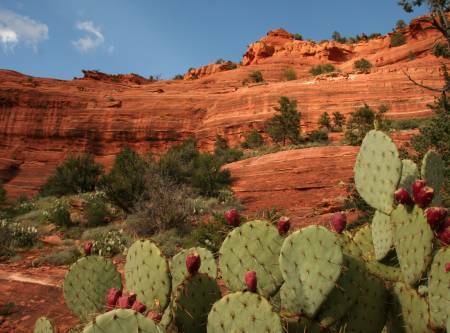 Sedona is a mecca for alternative healers. Living this close to the beauty of the land has inspired many profoundly holistic approaches to health. Our body-temples are complex multi-dimensional organisms, and Sedona healers apply their gifts to every level of the body/mind/spirit spectrum. You will benefit from their intuitive skills and compassionate hearts as well as their intellectual training and hands-on experience. 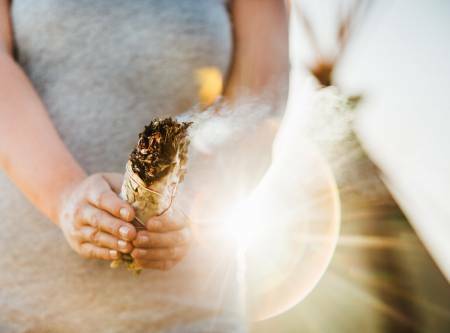 So, whether you’re currently troubled with health issues — or are simply seeking more wellness, pleasure and balance in your life — a visit to one of these dedicated practitioners could open up new worlds for you. The natural beauty of Sedona is extraordinary from any perspective, but the closer you get, the deeper your experience will be. Special Sedona guides can transport you through the physical landscape and into the heart of the wild. Let the spirits of the land speak to you. Our Native brothers and sisters are sharing their tribal wisdom, showing us how to live in harmony with the earth and all our relations. 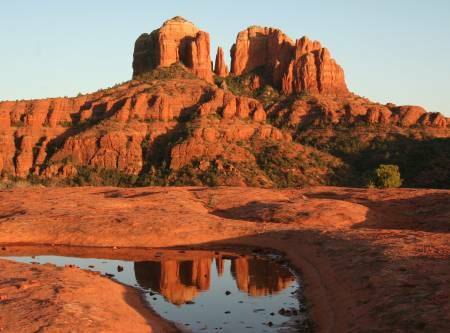 Some of the most profound spiritual experiences in Sedona are to be found out on the land. Sedona Vortex sites are popular tourist attractions. What are these Sedona vortexes? Vortex sites are enhanced energy locations that facilitate prayer, meditation, mind/body healing, and exploring your relationship with your Soul and the divine. They are neither electric nor magnetic (although these words are often used to describe the vortexes, along with the other nomenclature such as masculine or feminine sites). The explanation for vortexes lies more at the boundaries of known science, rather than in electromagnetic descriptions or gender related labels. Upflow Vortexes (also called electric or masculine sites), have energy flows that help you soar to higher spiritual perspectives. They enhance prayers or meditations for blending with the Universe, feeling one with the divine, or facing a problem from a Soul level. Inflow Vortexes (also called magnetic or feminine), have energy flows that help you go inward. In them you will be more successful with meditations or prayers about your life purposes or how to heal hurts in your past. There are also Combination Vortexes that have aspects of both energies. These allow the seeker to experience more advanced or in-depth spiritual skills and meditations. 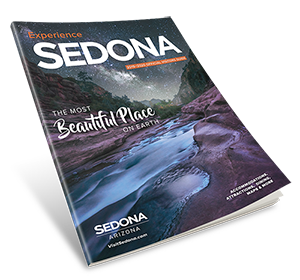 A wide variety of lectures, texts, and guides are available through Sedona’s bookstores and Spiritual Centers to assist you in experiencing the power of Sedona’s Vortex sites. Give yourself the gift of tapping Sedona’s potential for spiritual renewal and advancement. Visit churches and places of worship in Sedona. Find guidance from classes and teachers in Sedona. Renew your spirit with one of our counselors or coaches. Move forward on your journey with experienced healers. Massage and body work to improve your wellbeing. Reflect on a personal retreat or by visiting a retreat center. Find beauty inside and out at a salon or spa. 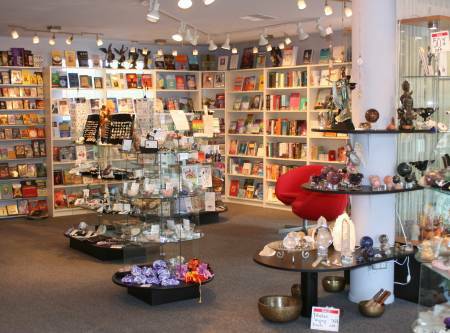 Shop for unique gifts and healing souvenirs in Sedona. Find out what a vortex is and how it can help you.